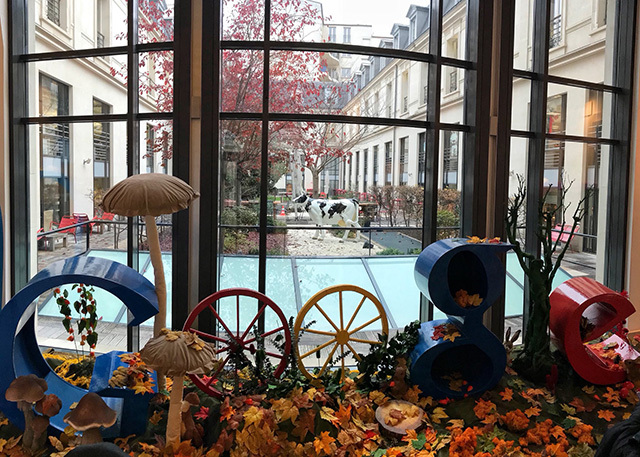 Huseyin Savas from Google posted a picture of an area at the Google Paris office. Check out how earthy that office looks. You can the Google logo mounted in the setting of a garden with the Os using old fashion wheels. You got mushrooms growing out of control. Flowers, leaves, grass and more all inside. Then outside, you see this cow standing there.